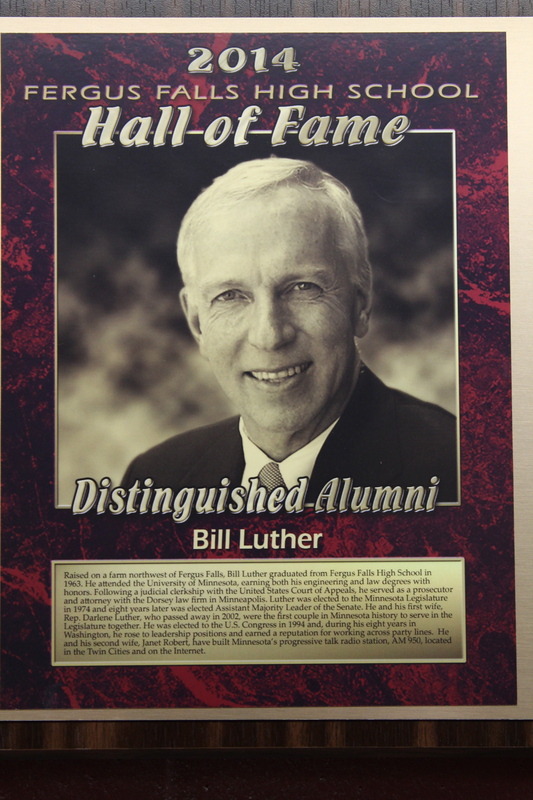 Raised on a farm northwest of Fergus Falls, Bill Luther graduated from Fergus Falls High School in 1963. He attended the University of Minnesota, earning both his engineering and law degrees with honors. Following a judicial clerkship with the United States Court of Appeals, he served as a prosecutor and attorney with the Dorsey law firm in Minneapolis. Luther was elected to the Minnesota Legislature in 1974 and eight years later was elected Assistant Majority Leader of the Senate. He and his first wife, Rep. Darlene Luther, who passed away in 2002, were the first couple in Minnesota history to serve in the Legislature together. He was elected to the U.S. Congress in 1994 and, during his eight years in Washington, he rose to leadership positions and earned a reputation for working across party lines. He and his second wife, Janet Robert, have built Minnesota’s progressive talk radio station, AM 950, located in the Twin Cities and on the Internet. Loanne (Brager) Thrane says her experiences at Fergus Falls High School and the lessons learned growing up in rural Minnesota provided the foundation for her career and service in government and education. After graduating from FFHS in 1951, Loanne earned a degree in history and minor in political science from Concordia College. She and her husband, Ralph, were “corporate gypsies,” living in locations from Hawaii and California to Australia until making their home in the Twin Cities. 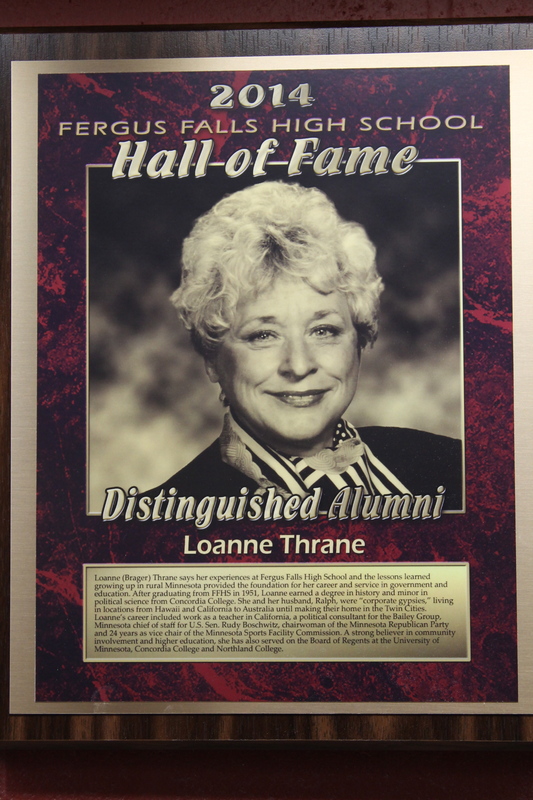 Loanne’s career included work as a teacher in California, a political consultant for the Bailey Group, Minnesota chief of staff for U.S. Sen. Rudy Boschwitz, chairwoman of the Minnesota Republican Party and 24 years as vice chair of the Minnesota Sports Facility Commission. A strong believer in community involvement and higher education, she has also served on the Board of Regents at the University of Minnesota, Concordia College and Northland College. Jim Iverson is a graduate of Mahnomen High School, Concordia College and Southwest State University, where he earned his master’s degree. 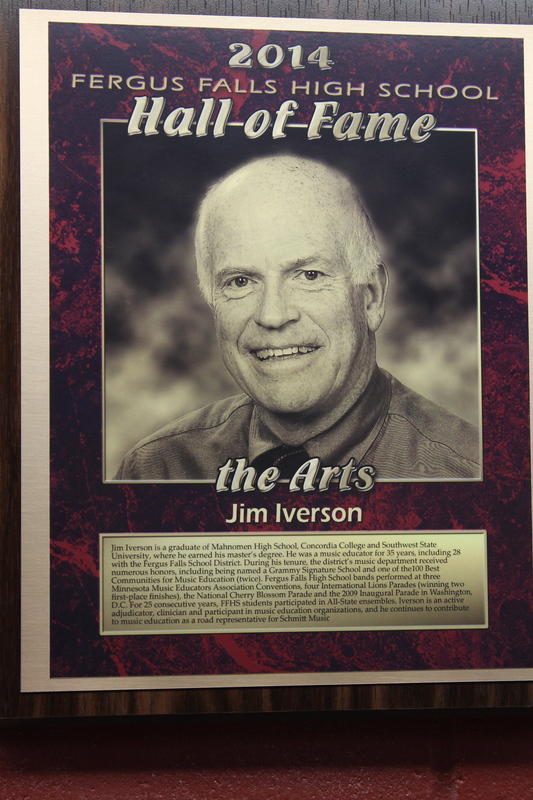 He was a music educator for 35 years, including 28 with the Fergus Falls School District. During his tenure, the district’s music department received numerous honors, including being named a Grammy Signature School and one of the 100 Best Communities for Music Education (twice). Fergus Falls High School bands performed at three Minnesota Music Educators Association Conventions, four International Lions Parades (winning two first-place finishes), the National Cherry Blossom Parade and the 2009 Inaugural Parade in Washington, D.C. For 25 consecutive years, FFHS students participated in All-State ensembles. Iverson is an active adjudicator, clinician and participant in music education organizations, and he continues to contribute to music education as a road representative for Schmitt Music. 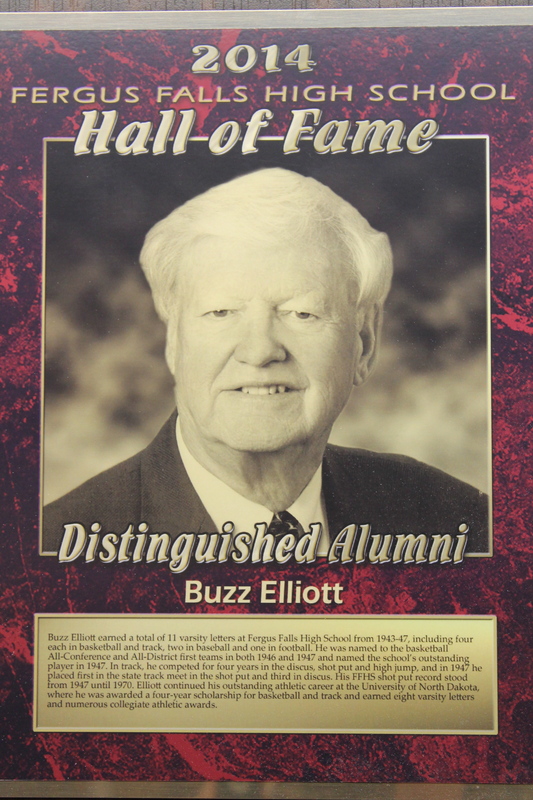 Buzz Elliott earned a total of 11 varsity letters at Fergus Falls High School from 1943-47, including four each in basketball and track, two in baseball and one in football. He was named to the basketball All-Conference and All-District first teams in both 1946 and 1947 and named the school’s outstanding player in 1947. In track, he competed for four years in the discus, shot put and high jump, and in 1947 he placed first in the state track meet in the shot put and third in discus. His FFHS shot put record stood from 1947 until 1970. Elliott continued his outstanding athletic career at the University of North Dakota, where he was awarded a four-year scholarship for basketball and track and earned eight varsity letters and numerous collegiate athletic awards. 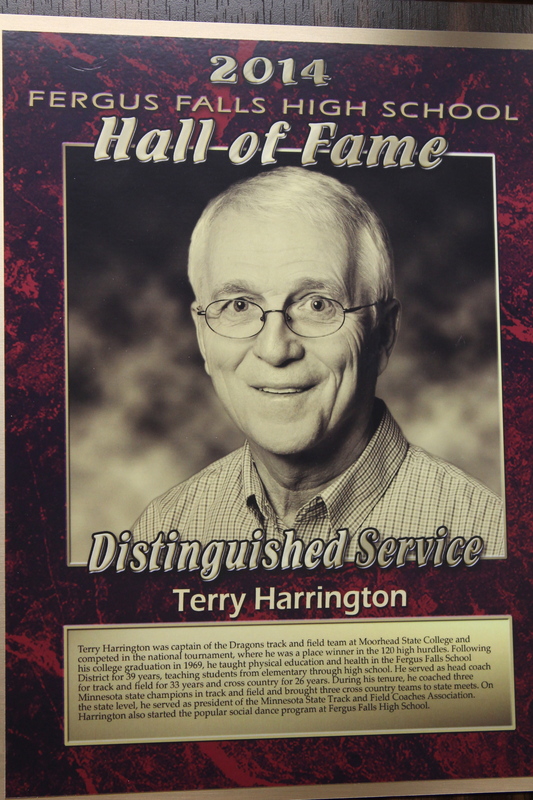 Terry Harrington was captain of the Dragons track and field team at Moorhead State College and competed in the national tournament, where he was a place winner in the 120 high hurdles. Following his college graduation in 1969, he taught physical education and health in the Fergus Falls School District for 39 years, teaching students from elementary through high school. He served as head coach for track and field for 33 years and cross country for 26 years. During his tenure, he coached three Minnesota state champions in track and field and brought three cross country teams to state meets. On the state level, he served as president of the Minnesota State Track and Field Coaches Association. Harrington also started the popular social dance program at Fergus Falls High School.